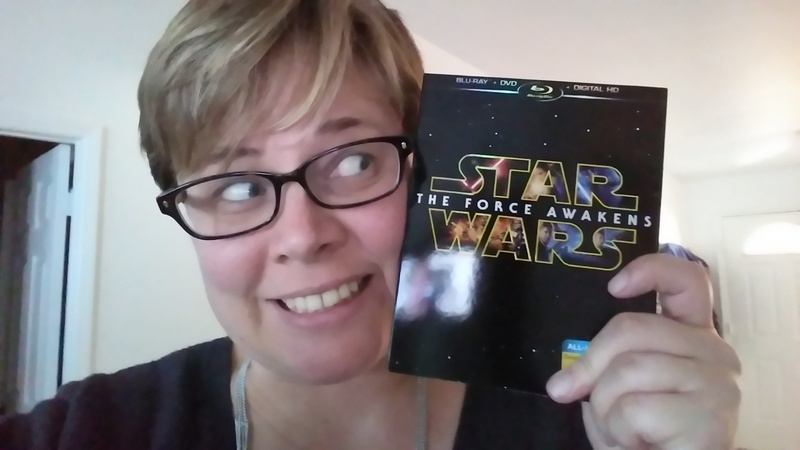 To say that I was more than a little excited to receive my Star Wars TFA Blu-Ray / DVD copy the other day might be an understatement. As a long-time Star Wars fan, I am beyond excited for this revival and am delighted with the new wave of fans that are becoming excited for this franchise. I genuinely believe it provides a common language that allows us all to relate in some way. Just like American Football gives many a people something to talk about, Star Wars is on that level for us nerds – it’s our bond. This piece is all about spreading the word on the bonus material you can look forward to – that is, if you’re a slacker who hasn’t gotten their copy yet, or are on the fence if it is worth it, or if you’re just going to hold out for the complete set. Either way, if you didn’t pre-order… you may be in trouble. So… uh, bonus material and movie spoilers ahead? You have been warned! In this four chapter documentary of sorts, the story of making The Force Awakens is told start to finish. From the abject terror/excitement of being a part of the new production, to the mind-blowing sensation of old and new cast coming together for the first table read, to the hard work and detail put into every prop and every second of CG – this four part series covers it all. I will admit to being one of those greedy fans who wants more – more about how the story came to be, more about how the creators felt about the motivations for the characters and where they envisioned the story going – even though I have a strict rule against spoilers. Some interesting take-aways for me was how the concept art very much propelled different parts of the story, rocketing the characters from one sticky situation into another. Discussions surrounding Han and Leia’s relationship, and how it affected Ben was great to gain more insight on. Carrie Fisher’s return to the screen was something I had never really thought about – which, in my opinion, reflects on how well she revived the character. She reported having the worst first day on set, but stuck with it and came back on the second day, ready to be faithful to the character and all her fans. It was great to see and hear about Daisy and John’s reaction to the casting news. Daisy claims, while every part of her wanted to hear the words that were eventually delivered, she was completely dumbfounded and unable to form coherent words. John Boyega was convinced he was still auditioning during the Table Read, remembering how the script was upside down in his binder and frantically wondering if it was the final test before he actually landed the role. Many times the characters and crew reflected on how Star Wars is now a family experience – passed down from one generation to the next. This resonated with me especially, since it was my Uncle who introduced me to Star Wars when I was 13. It DID give us a common language, among he and I and among the rest of the fan base. Fun Fact: Poe Dameron’s character was originally slated to die early in the movie. While Oscar Issac obviously jumped at the chance to play Poe, he did complain to JJ that all the movies he’d been in to date, he had died early in the film. After some consideration, JJ found a way to avoid that fate for Poe. Good thing, too, since Poe is surely a fan favorite and we’ll look forward to seeing him in future movies! The Table Read is briefly touched on in the Cinematic Journey, but this bonus feature really drives home how emotional this event was for the veteran actors as well as the new additions. It was stunning to hear Mark Hamill read the opening credits and I felt chills all over again. Amusingly, Daisy Ridley reported she thought her table read was rubbish, and felt confirmed in the belief when JJ insisted she and John Boyega begin day-long rehearsals immediately. While I would have LOVED for this bonus feature to go more into the making of all of the amazing costumes, I can understand why they couldn’t – there were just so damn many! It was fascinating to see how the crew worked to make such authentic props, enhancing them with CG only when necessary yo further enhance their authenticity. One great takeaway from this segment for me was JJ’s approach to design – instead of giving a vision and having the artists fulfill it, he challenged the artists to make what inspired them. The artists had no guarantee that anything they made would make it into the movie – their work had to be good enough, and inspirational enough, for JJ to choose them for the film. I love this approach because it is obvious in the quality and uniqueness of the end result that the artists were really motivated to create memorable creatures and costumes. When it came to the iconic costumes like Chewie, there were absolutely no corners cut, or even an attempt to improve on the original design. Crafters called on the methods and techniques used in the original films to ensure Chewie would translate well to us very detail-oriented fans. Similar to how the Creature Crafters were challenged, the creators of BB8 were given quite the challenge by JJ when he delivered a rough sketch of the droid on a post-it note. The solution? ALL THE VERSIONS of BB8. The builders found ways to construct BB8 in ways that best suited how he would need to be seen on screen. From a hand-driven version that had puppet qualities, to a drive-powered version that was awkward to maneuver but worked best in tight spaces, to a free-standing version with controls for body and head movement. By far the best clip in this segment is one of the controllers dressed in a green skin-suit, pushing BB8 as quickly as possible around the desert in the Jakku escape scenes with Rey and Finn. Cardio is evidently a huge requirement in making this film. As someone with a martial arts and fencing background, I was beyond excited when I got to this feature in the bonus material. And I have to admit, up front, I was a little disappointed. The segment seemed too short and mostly covered the construction of the set – WHICH IS AMAZING. Don’t get me wrong – they built a forest on an indoor set with real trees, and a 360 drop off. You basically felt like you were in the woods on the Starkiller Base. But, I was really looking forward to learning more about the choreography of the fight. I suppose I’ll have to wait for more documentaries. Star Wars: The Gift That Just Keeps Giving. These people are genuinely magic. Their work on the Falcon alone is breathtaking, and the time they took to study the physical models from the original production is just one of the indicators of their above-and-beyond approach. With all their magic, the folks at ILM were thrilled to have as many real-world props and settings as JJ delivered – open and honest about the fact that ‘real is real’. But they truly took it to the next level and their graphics are so well integrated into this film, it is genuinely difficult to pick them out. John Williams is a god among men – on this I think we can all agree. This segment was great to see Williams reflecting on how absolutely on board he was for Star Wars 7 – unable to fathom not contributing to the franchise, or breaking his streak. There is a huge emphasis on how much of the music in Star Wars is a part of the film, seamless but if removed, would be a terrible detriment to the film – and it’s true. I popped in the Blu-ray after watching the Bonus Material and really tried to focus in on the music. I found myself drifting into the story, and I think it’s because the score is so masterfully interwoven with the film, you cannot pay attention to just one or the other. I can see why this scene was deleted – it breaks up the action of the initial invasion of Jakku in search of Poe and his star map. In this scene, Finn takes cover from the battle and stumbles onto a villager. There is a pause where neither Finn nor the villager knows what to do. After some clear conflict in Finn, he lets the villager run away, presumably saving her life. I am bummed this didn’t make the final cut. Essentially, a message is received by the Resistance that details the fate of Poe. This would have been the first scene with Leia in it – so I guess it would have ruined the big reveal later in the movie when Leia and Han are reunited. But still! It would have meant more Leia screen time, and it would have filled in the blank about how the Resistance was so quick to retrieve Poe from Jakku. This is once scene I would have loved to see in the film. The moment Kylo walks onto the Falcon, you can feel the tension and conflict within the character. I immediately find myself wondering how much time Ben spent on the Falcon as a kid, what memories it holds for him, what he’s feeling in that moment. He walks to the Cockpit – not unlike what Han does after his confrontation with Rey and Finn when he first regains his ship. In the cockpit, Kylo takes a long moment to reflect, until his head bows and he senses his father is nearby. I want to take a moment to thank JJ for not including this scene in the final cut. Finn and Rey are in a snow speeder, headed to the oscillator in an attempt to blow it up. My first question is – where the hell is Han and Chewie? My second question is, why is Finn driving? Rey is the pilot of the group. Third, when they get shot at, Rey screams. She screams! This is so out of character for her, I was immediately put off. Then she tries to shoot at their pursuers and misses. This is also out of line with what we know about Rey. It become clear very quickly the whole scene is set up so Finn can give Rey they steering and use his rare-Stormtrooper-sharp-shooting skills to take out the other Stormtroopers. This scene is beyond awkward without music. Finn is being treated by Resistance doctors when the doctor seen treating Chewie earlier approaches Rey to tell her “Your friend is going to be just fine,” and then pauses to stare at Rey with a creepy smile for like… way too long. Again, I’m sure with music this scene would be more impactful, but I think it was smart to leave it out. This was a neat addition to the Bonus Materials where some of the production’s charity activities were highlighted. It was a genuinely sweet and moving piece, and it reminded me how powerful and prevalent Star Wars is all over the world. Pretty damn cool, if you ask me. All the dancing that seemed to happen on set. What the hell?? I was fully expecting these adorable moments, with some more context. Where’s my context, JJ?? 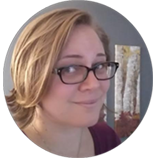 Eve is the founder of Some Nerd Girl and the author of urban fantasy novels Children of the Fallen and Unforgettable as well as science fiction novel Colony One. She has been writing since the age of 13 and has been flying her nerd flag for the past 16 years. Fandoms include Star Wars, Star Trek and Battlestar Galactica. Basically if it has ‘star’ in it, she’ll give it a shot.